One of the many things about York that makes it truly unique is the ability to enroll in a PKIN course, even if you’re not a Kinesiology major. 1) You’re a kinesiology major. Kinesiology & Health Science students are required to take a total of 8 PKIN courses, including one PKIN course from each of the 6 categories of the PKIN core classes and two elective practicums. The 6 areas in the PKIN core are: Aquatics, Team Sports, Individual/Dual Sports, Dance/Gymnastics, Track & Field, and Emergency Care. 2) It’s a simple (mostly free) way to get some exercise! Last semester, I signed up for PKIN 0435 Tennis I. That was probably one of the best decisions I made this academic year. I’ve never been athletic in my life, so of course, first year went by without me ever stepping foot in Tait McKenzie, although I did go to the Glendon Athletic Club (twice…I think). This summer was when I had first heard about the magical PKINs from a friend, and I thought to myself, Whoa. I got lucky by not gaining the freshman 15, but unless I get some exercise, I am definitely going to gain the sophomore 30. Might as well see what’s so great about these PKINs. When I saw the list of courses York offers, I was pretty surprised. So. many. choices. Sure, you’ve got your basic team sports like basketball, field hockey, volleyball, etc., but then there are options like Tai Chi, Ballroom Dance, Jazz Dance, Strength Training, Elementary & Recreational Games, and Competitive Lifesaving. I honestly did not know that lifesaving could be competitive. 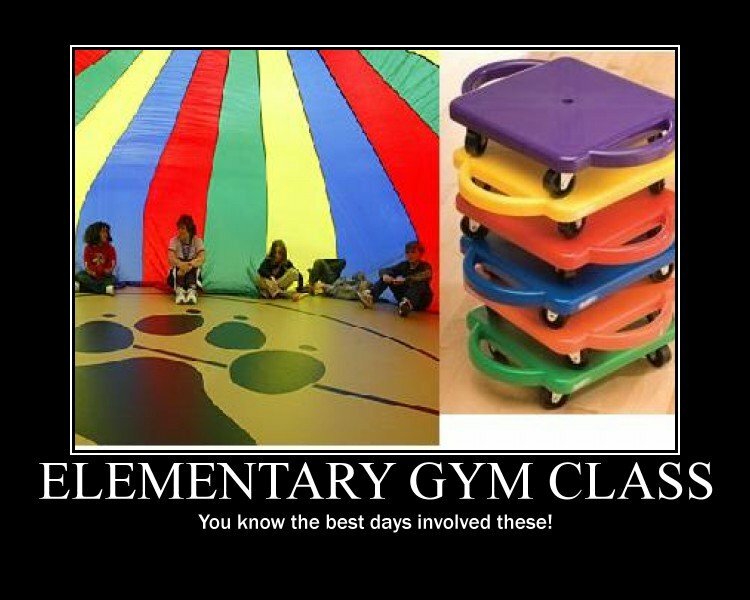 And how many of us wish we could play the games we got to play in elementary school? As much as I wanted to sign up for this class or a fitness class like Pilates, to my disappointment, the majority of the PKINs I tried to add to my schedule were either full or made time conflicts with my required courses for my program. This was probably my own fault, as I was signing up for a PKIN quite late, and priority enrolment is given to Kinesiology & Health Science Honours students. I had never played tennis in my life, and I mistakenly considered it to be just like badminton (which is pretty much the only sport I enjoyed playing up until that point). The course description seemed pretty good; it was meant for beginners like me. Checked the availability, and boom– open spaces available. And it fit perfectly in my schedule. Every Monday and Wednesday morning at 9 am, I went down to the outdoor tennis courts near Tait McKenzie ready for a workout. Right from the get-go, our tennis instructor let us know that his style of teaching was to let us try playing first, to observe the level of skill the majority of the class had. After that first class, I knew I was probably one of the weaker players in the class. I was actually surprised to be out of breath and annoyed at missing the tennis ball so often (like I mentioned earlier, I’m not exactly athletic). So I wasn’t the greatest tennis player ever, but I still really enjoyed playing and gained valuable skills that you can only learn from actually playing the sport yourself rather than just watching other people play. We even got to play tennis at the Rexall Centre bubble courts, where we also got to watch players from all over the world battle it out in a tennis tournament. As the weeks went by, I improved my serving, rallying, and volleying skills along with my forehand and backhand strokes with the help of my instructor and tips from my classmates. By the end of the eight weeks, I felt both confident and excited to buy a tennis racquet of my own and rent the tennis court for an hour or two to practice with a friend. Even if it’s a sport you’ve never played before, or maybe one you play all the time, participating in a PKIN gives you the satisfaction of getting some exercise in a busy academic year. Personally, I truly appreciated what were essentially free tennis lessons; a cool way to get a workout alongside other classmates without feeling like I had to drag myself to the gym. So sign up for a PKIN! Trust me. You won’t regret it. Check out the full list of PKIN descriptions here. Arshia is a third-year international studies major at Glendon College. She no longer blogs regularly for the YU Blog but may post on occasion as a guest-blogger. I’m am not a kinesiology student but reading your post,i am in with exercise. What should i do to start? Hi there, that’s great to hear! Are you a current or a future York U student?